Vail Resorts on Tuesday said it intends to eliminate net emissions by 2030 and pursue two other major environmental initiatives, moves that appear to mesh with programs at City Hall as the company and the broader community address green issues. 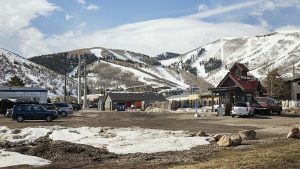 The Colorado-based owner of Park City Mountain Resort outlined a series of steps it plans as it pursues the elimination of net emissions. The steps will impact many of the operations of Vail Resorts. Vail Resorts said it intends to reduce the use of electricity and natural gas by 15 percent, furthering a reduction of 19 percent that has already occurred. It will improve operating practices and put $25 million toward projects designed to save energy, such as acquiring snowmaking systems that operate on less energy, constructing environmentally friendly buildings and upgrading efficiencies in grooming operations. The firm will purchase renewable energy that equals the amount of electricity used by Vail Resorts. It will also work with utilities and governments to increase the amount of renewable energy used in electrical grids serving communities where Vail Resorts properties operate. Vail Resorts will also pursue programs, including planting trees, to offset fossil fuels like gasoline it uses. “We hear loud and clear it’s an important thing,” Bill Rock, the chief operating officer of PCMR, said about environmental efforts. Eliminating net emissions does not cut the amount of emissions to zero. Instead an entity that pursues the goal typically reduces emissions through a variety of environmental initiatives alongside an offset of some sort for any that remain. Tom Bradley, the environmental manager for PCMR, said an energy audit will be conducted at the resort in mid-August. The results will be available two or three months afterward, he said. PCMR in July of 2018 anticipates releasing an environmental report. Additional reports will be made public annually, Bradley said. 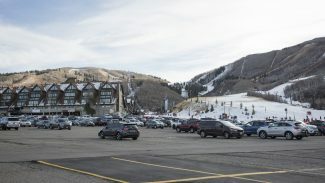 Vail Resorts, meanwhile, also said by 2030 it wants to eliminate waste sent to landfills by “diverting 100 percent of the waste from its operations to more sustainable pathways.” It will improve recycling programs and composting as well as work with vendors to cut the amount of packaging used. The company, in another environmental leg, said it wants to eliminate the impact of operations on forests and habitat for wildlife. “Everything we do at Vail Resorts is driven by the spectacular natural surroundings where our employees, guests and communities live, work and play. The environment is our business, and we have a special obligation to protect it,” Vail Resorts Chairman and CEO Rob Katz said in a prepared statement. Vail Resorts has labeled the program the Epic Promise for a Zero Footprint. 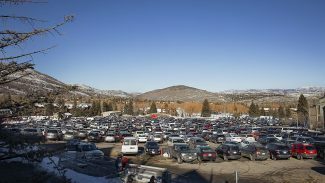 The initiatives by Vail Resorts were announced as Park City continues its environmental efforts that are also meant to reduce emissions. City Hall sees a changing climate as something that could one day threaten a ski industry that drives the local economy. 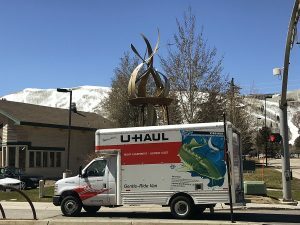 Park City has a goal of cutting to zero the carbon emissions attributed to the municipal government by 2022. Another municipal goal calls for cutting carbon emissions to zero communitywide by 2032. Rock noted the similarities in the schedules pursued by Vail Resorts and City Hall. “The timelines align, for sure,” he said.